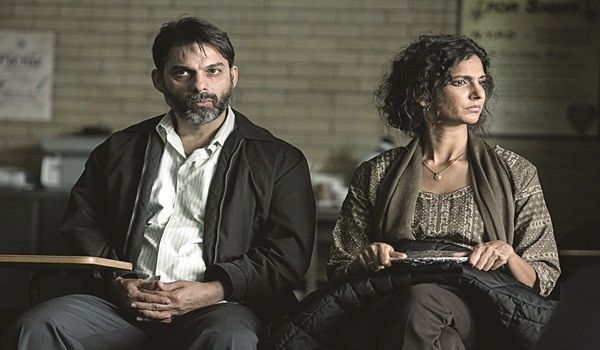 Poorna Jagannathan on her latest show, the night of, and other projects. Indian-American actress Poorna Jagannathan is on a break, now that her a�?dream showa�? The Night Of has gone on air. A break for her means spending a lot of time with her family, living by Venice beach in LA. a�?By the time you get close to a beach, your phone signal is gone. Ita��s a wonderful, unplugged living,a�? says the Delhi Belly star.In The Night Of miniseries, Jagannathan plays Safar Khan. She is the mother of Naz, a Pakistani-American college student whoa��s accused of murdering a girl in New York. Shunned by everyone else, ita��s lawyer Jack Stone (played by actor John Turturro) who stands by him. Though Jagannathan is no stranger to international TV, with House of Cards, Law & Order and The Game listed on her resume, this one is special. a�?Ita��s the best writing I have come across in my life. And the timing couldna��t be more perfect. Apart from a searing crime drama, ita��s also an examination of a race in America and deals with the mounting Islamaphobia that everyonea��s experiencing,a�? she says, before moving on to explain her charactera��s arc. a�?Shea��s put in an extraordinarily difficult position. She loves her son and wants to believe him but as the evidence mounts, she starts doubting his innocence.a�? The 43-year-old actor had auditioned for the show in 2011. But the death of The Sopranos star James Gandolfini, cast as lawyer Stone, in 2013 put things on hold. a�?I didna��t think the show would recover: the setback was too large. But Steve Zaillian, the writer and director (of Schindlera��s List fame), never stopped believing in the project. So we got back together in early 2014 and filmed into mid-2015. Turturro took over the lawyera��s role. I remember after the first day on set, everyone said the role belonged to Turturro as much as it belonged to Gandolfini,a�? says Jagannathan. She shares another snippet, a�?One dinner table sequence took a really long time to shoot and we were eating kofta, saag paneer and naan for what seemed like five hours. We had got the food from some Indian restaurant in Jackson Heights where the motto clearly was a�?More butter is bettera�� and by the time I was done shooting, I couldna��t eat Indian food for months. Also Riz Ahmed (Naz) and I knew how to eat with our hands but Peyman Moaadi and Syam Lafi (who play my husband, and younger son) never had, so it was a proper comedy of errors with food falling everywhere.a�? She has four films lined up for releasea��The Circle (starring Tom Hanks and Emma Watson), Growing Up Smith, Carrie Pillby and Daisy Winters. Her award-winning theatre project, Nirbhaya, also keeps her occupied. It is inspired by the Delhi gangrape episode, and highlights sexual crimes against women. Jagannathan also plans to adapt the play into a movie.